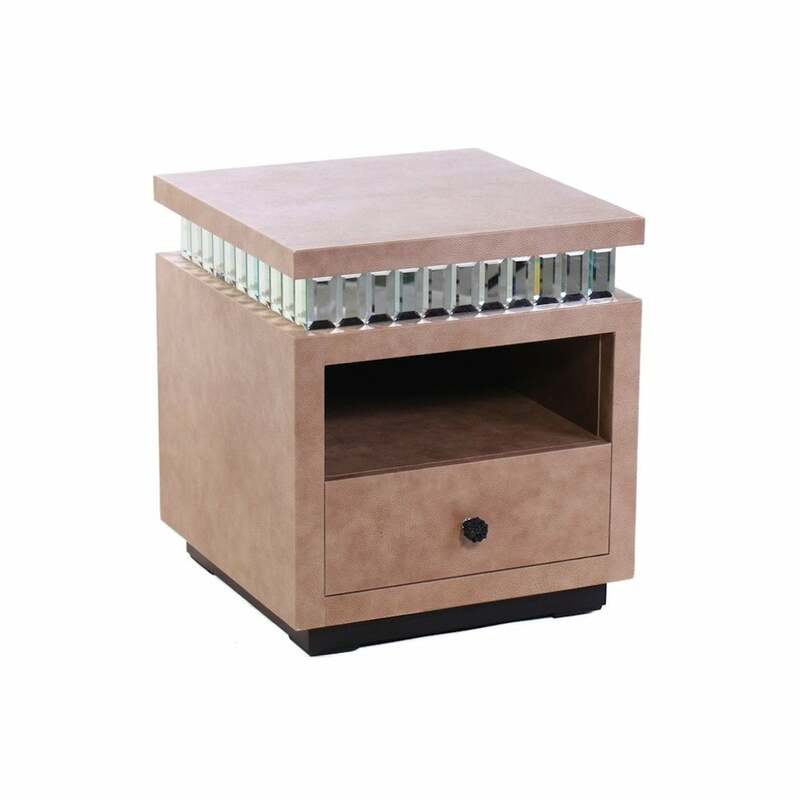 Shown in brandy faux shagreen with a storage compartment and leather drawer. Mini tiffany baguettes frame the mirrored top. As with all Simpsons' pieces, this bedside table has been handmade in England.